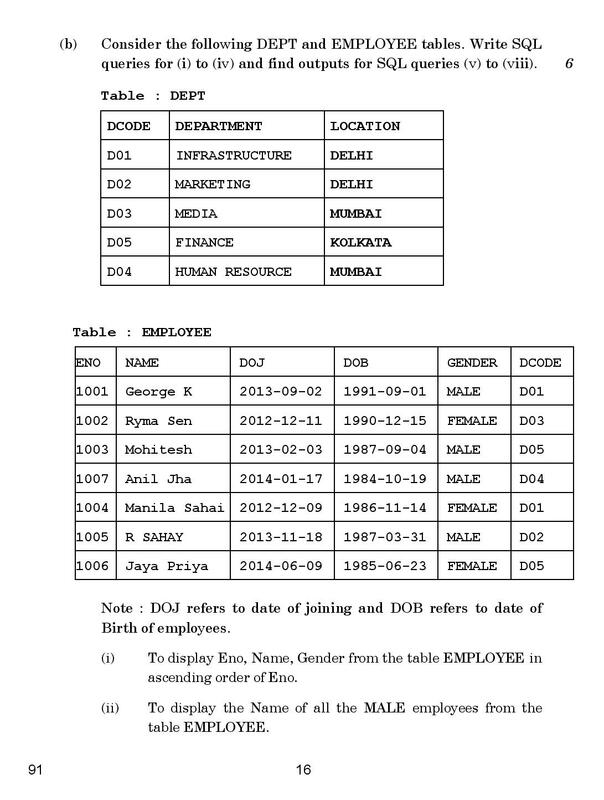 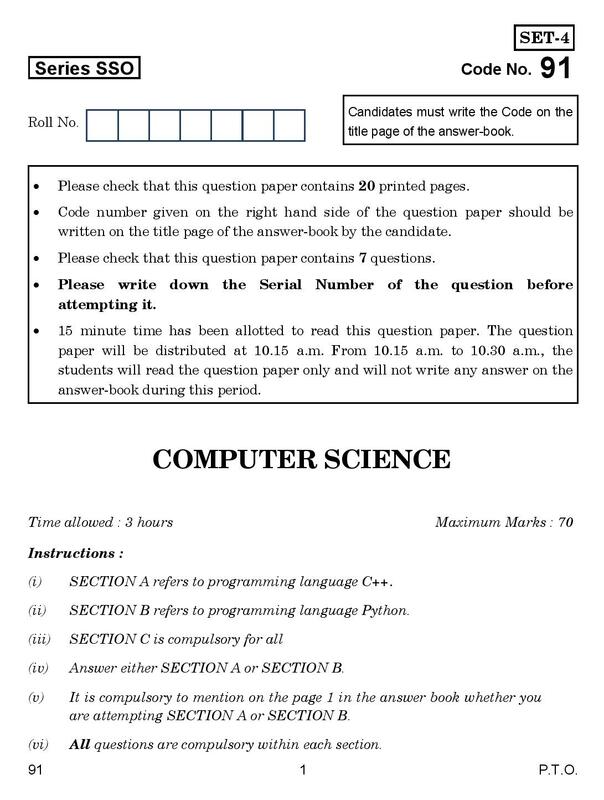 Computer 2015 class12th Set-4 (out-side) Delhi free sample question papers of (Computer science) are issued by Central Board of Secondary Education (c.b.s.e.) 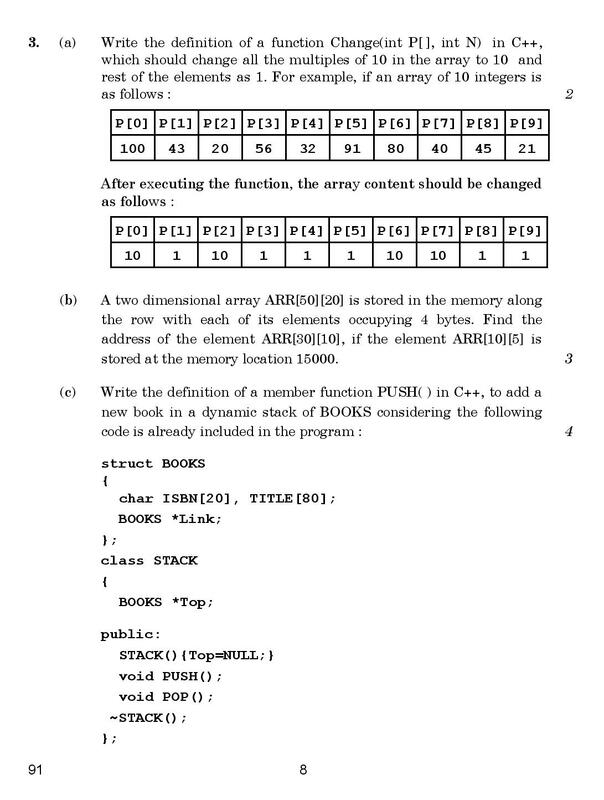 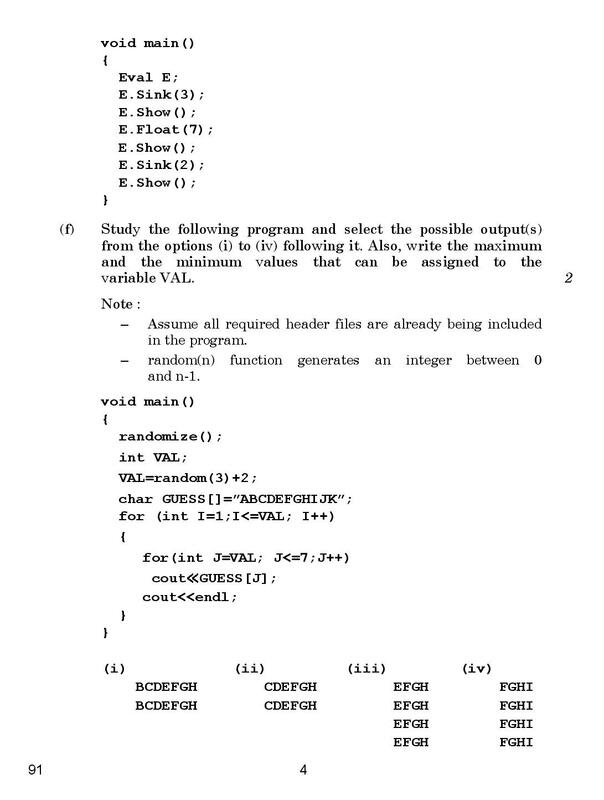 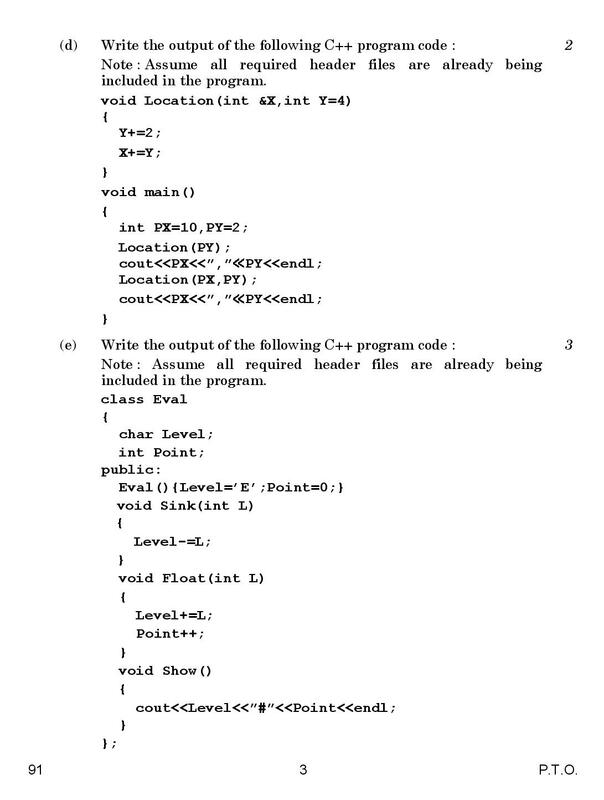 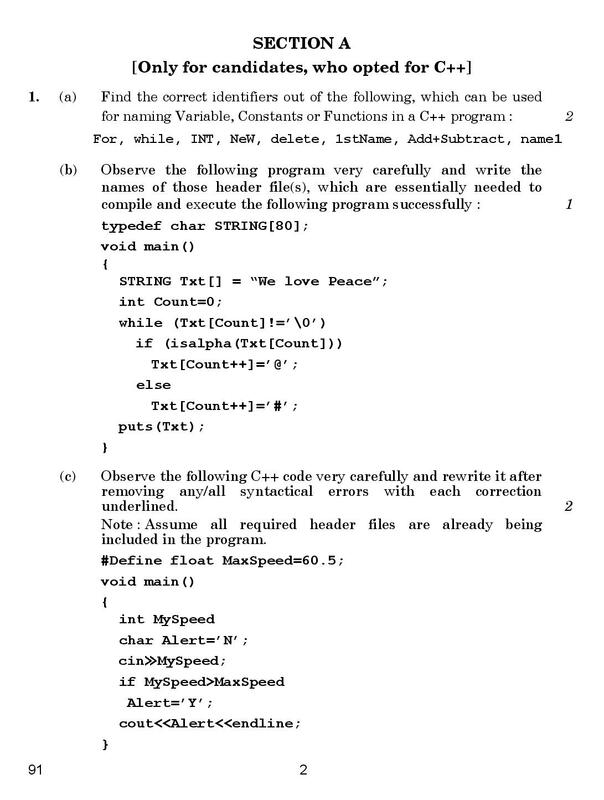 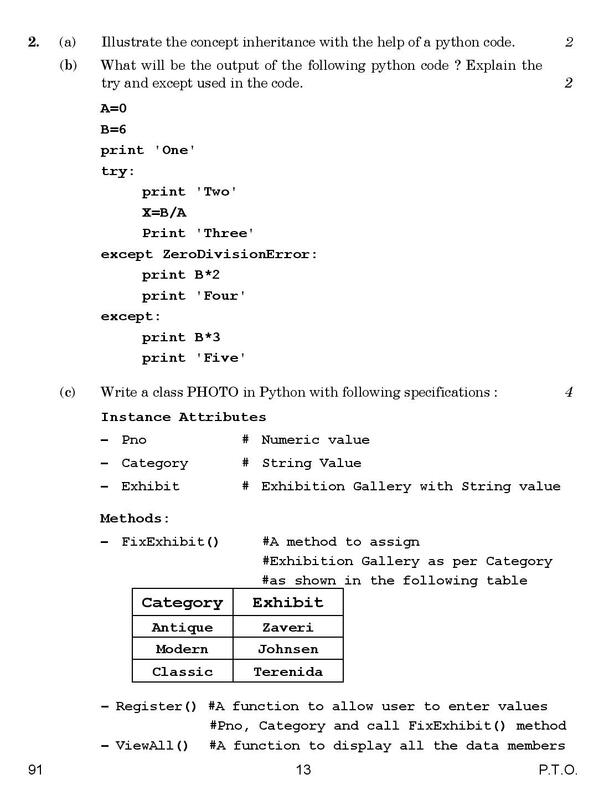 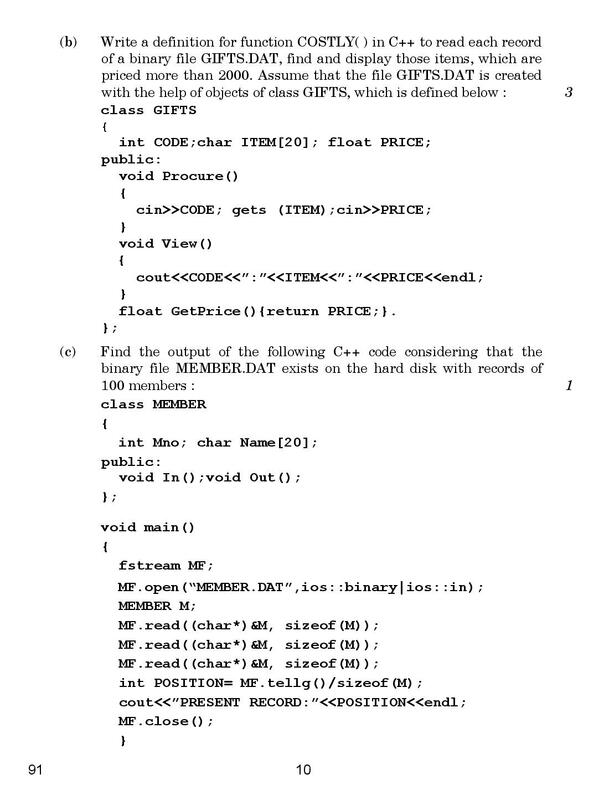 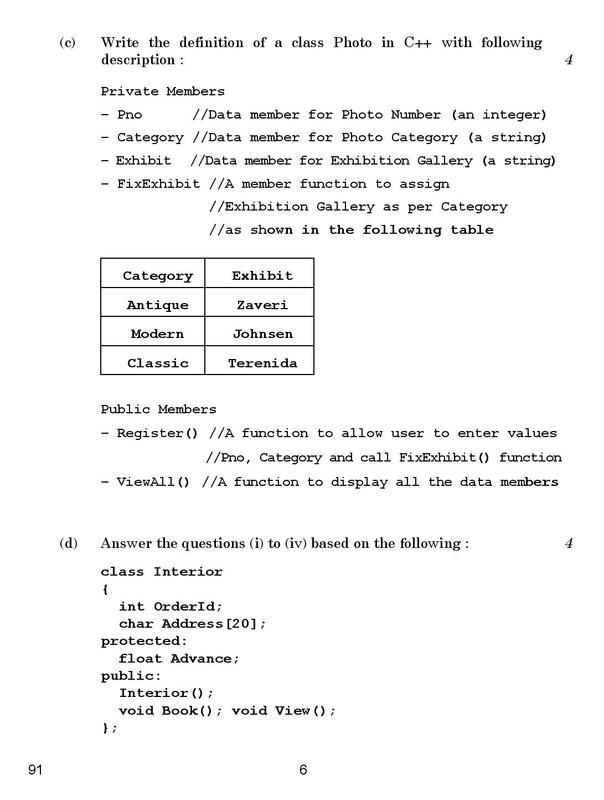 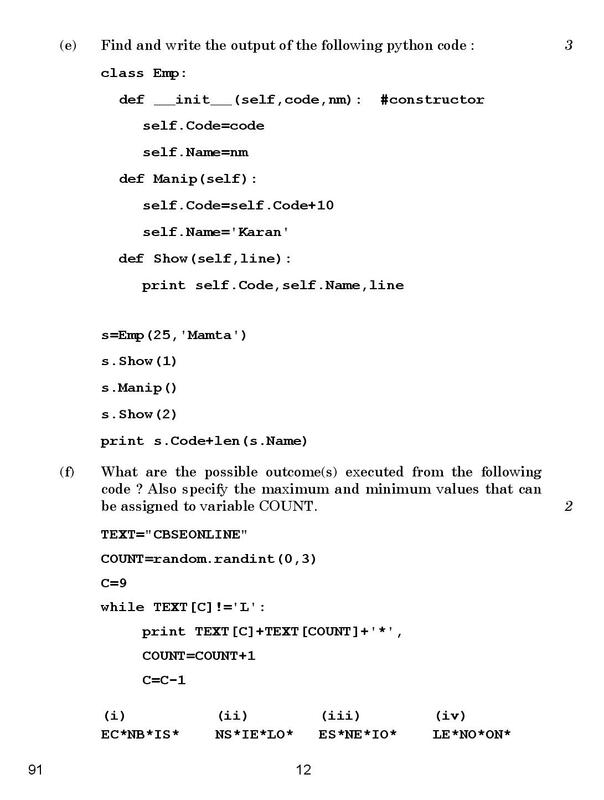 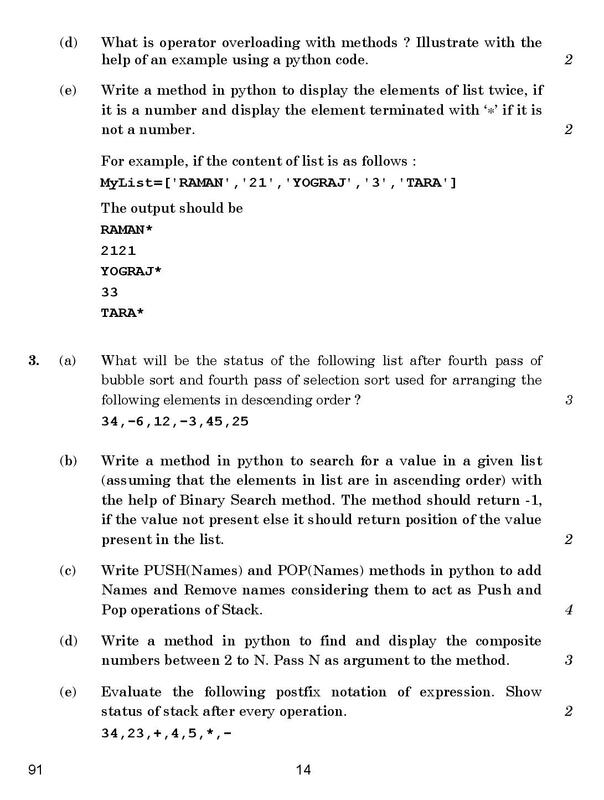 2015 OUTSIDE (Delhi).Computer science cbse syllabus for class 12th 2015 object oriented programming in C++ , Data structure ,Database management system and SQL, Boolean algebra , Communication technologies and cbse important question bank. 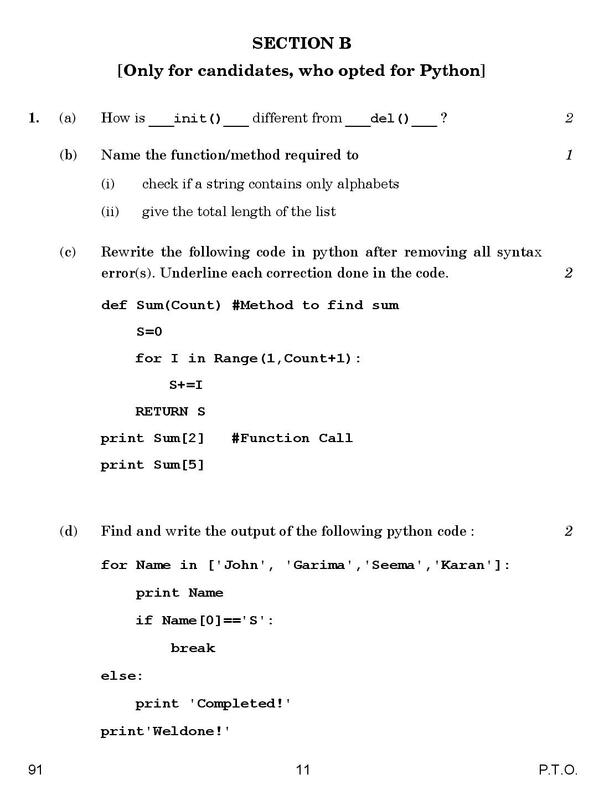 CBSE Computer science 2015 CBSE Board Exam paper Class XII – C.B.S.E Download Free Online Question Paper OUTSIDE DELHI. 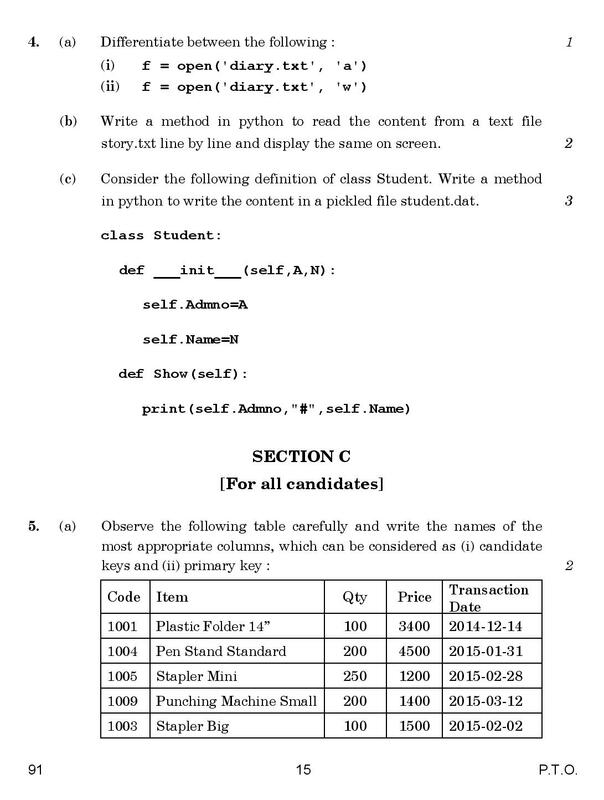 The previous year specimen question paper of 2014-2015 and to upgrade your cbse examination results of 2016 practice the cbse board exam papers of 2015, Last 10 years Question Paper of 2015 and online model answers are available in the attached sheet for students and teachers. 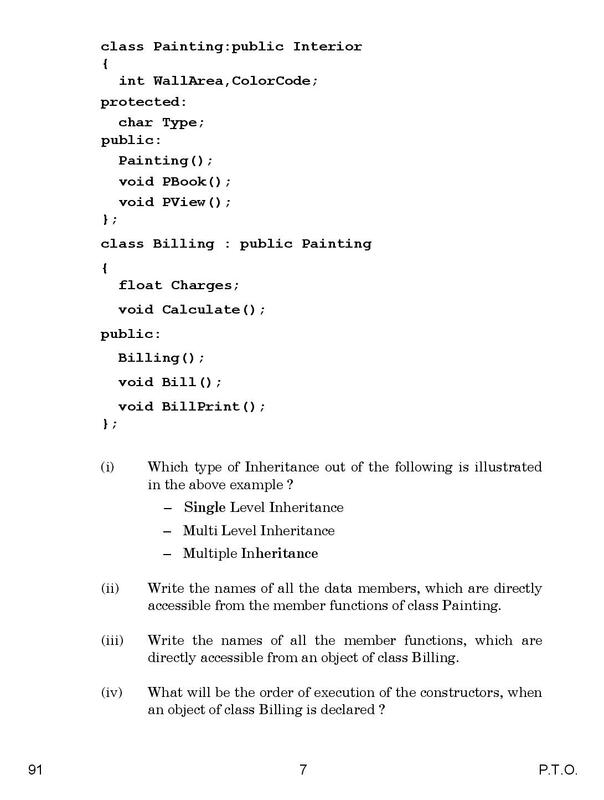 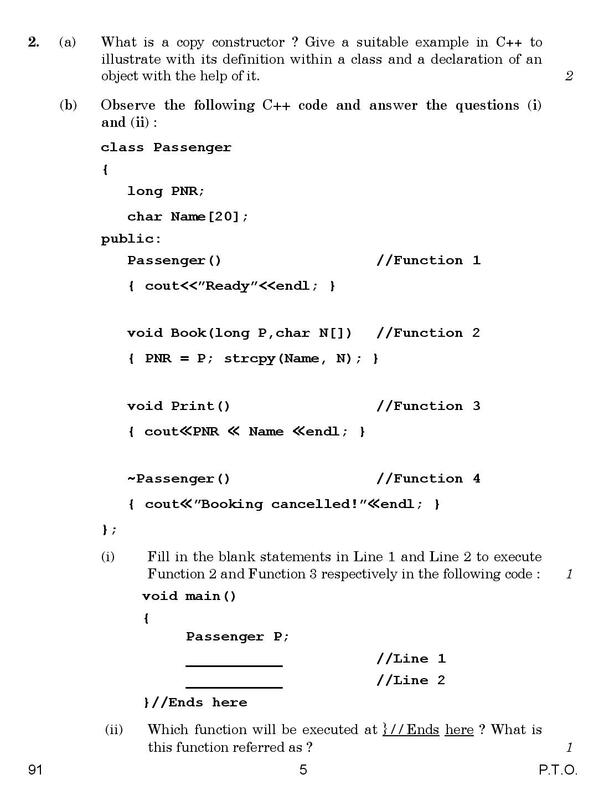 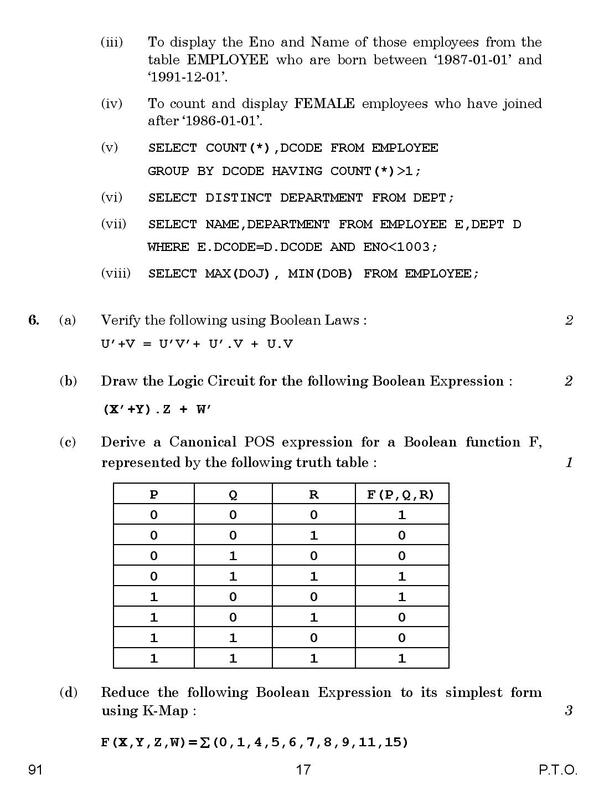 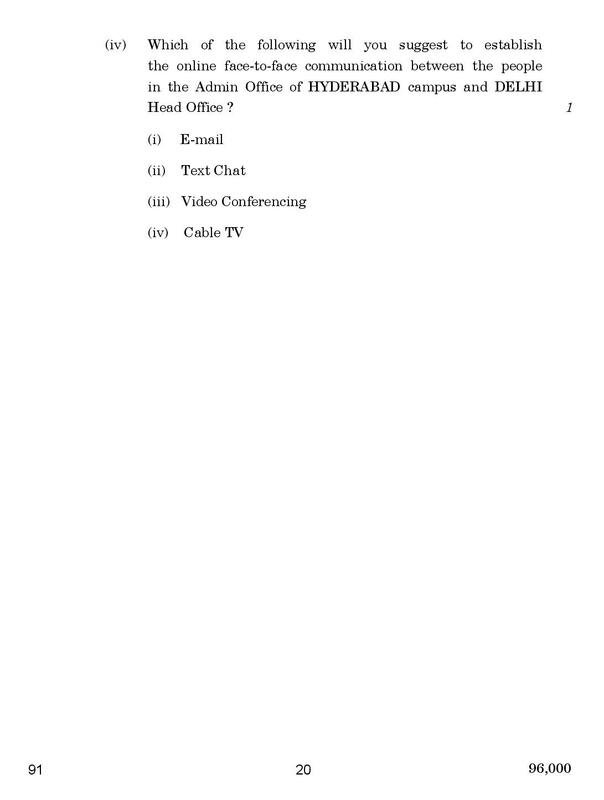 Tags: cbse computer class xii question paper 2015 (set-4),Computer Science class 12th 2015 question paper,Computer Science question papers, computer question paper 2015 inside OUTSIDE Delhi,cbse class 12 Computer Science question papers with answers,Computer Science question paper 2015 OUTSIDE Delhi India, cbse Computer Science sample/ model previous years papers,12th question paper 2015, cbse class xii, cbse 12, cbse 12th standard,cbse class 12 question paper 2015,class 12 question paper 2015,cbse question paper for class 12 2015,cbse question papers for class 12 2015,sample question paper for class 12,cbse sample question paper,cbse class 12 sample question papers,cbse XII maths question paper,xii cbse question papers,cbse OUTSIDE DELHI 12th board Computer Science question paper 2015 (set-4).